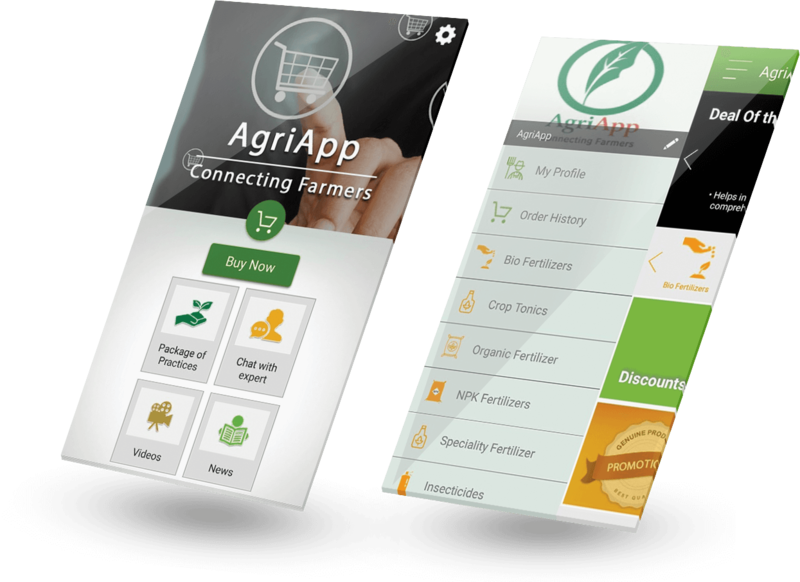 AgriApp is a revolutionary Android based mobile application. It provides complete information on Crop Production, Crop Protection and all relevant agriculture allied services on your smartphone. In addition to being an information portal, AgriApp is also an online market place bringing farmers, agri inputs, retail & fulfilment services on a common digital platform. AgriApp is available in Kannada, English, Hindi, Telugu, Tamil and Marathi. AgriApp allows you to conveniently shop on-the-go; browse & search for your desired products and brands, view recommendations & customer reviews, complete the purchase using the available payment options. New customers can sign up for an account using the AgriApp. This feature enables farmers to access to all the information related to “High value, low product “category crops from Varieties, soil/ climate to harvesting and storage procedure. Farmers can directly chat with our scientists through this feature. A panel of highly knowledgeable and qualified agri experts discuss on various aspects of crops, farming and agricultural practices. User can upload a pic, share video or audio on this multimedia platform. Our experts will analyse the issue and provide relevant recommendations. Videos on best practices, farming technology, agricultural information are uploaded into the app from reliable sources. The videos are carefully examined for their correct information and quality. Some of the videos are on, feedings for livestock, manure production, treatment for particular disease and many more. The videos appear based on the language selected. This features let farmers know about the agriculture related news, success stories which can motivate the early startup farmer. News also has information on latest happening in agriculture world. Any new updated News comes as a notification. Refine your search based on category, discount, SKU, and more using sort and filter features. Get into the world of online buying of complete agriculture input product profile clicking Buy Now. Farmers will get to view most popular categories like NPK Fertilizer, Bio Fertilizer, Organic Fertilizer, Crop Tonics, Speciality Fertilizers, Insecticides, Fungicides, Weedicides, Seeds, and Equipment. Get notifications on best deals and offers. Enjoy new discounts & offers every week on a wide range of products on our app.